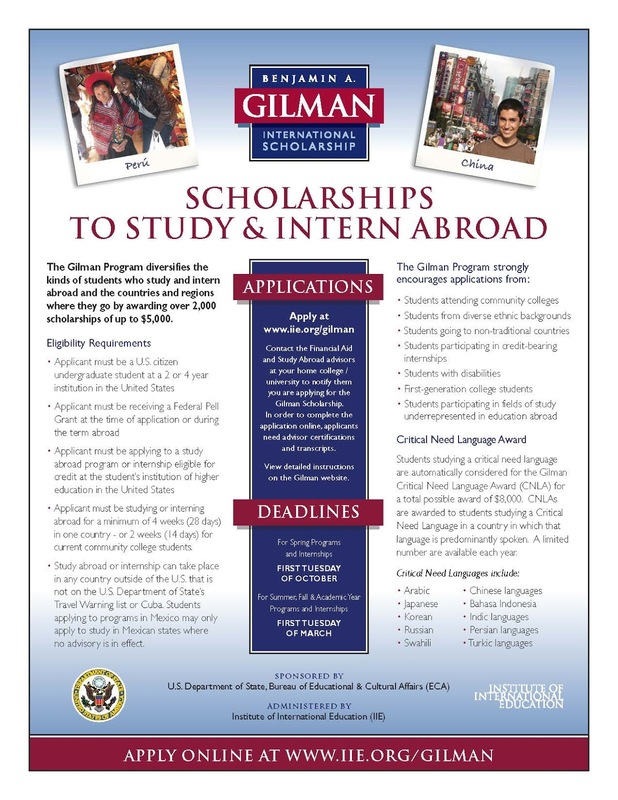 Gilman International Scholarship - Study and Intern Abroad! 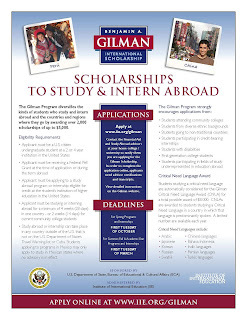 Do you want to study and intern abroad? Remember to apply for your Scholarship! The deadline to apply is October 6th, 2015 at 11:59pm Central Time.